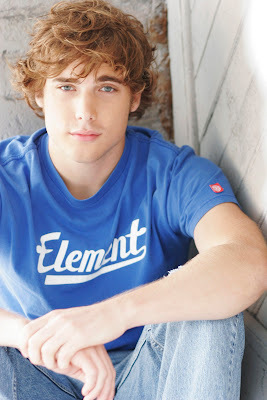 Canadian Dustin Milligan is the first actor cast as one of those bratty West Beverly High teens on the upcoming CW spin-off of "Beverly Hills, 90210" and keeping up with the tradition of the original series - the actor is actually 22. Milligan will play a popular athlete named Ethan in the Rob Thomas ("Veronica Mars") penned pilot. The revival of the popular FOX drama from late uber-producer Aaron Spelling will take a contemporary look at the world of Beverly Hills teens, including somewhat different ethnic diversity now prevalent in the real West Beverly High. Check out Milligan's hot set of headshots over at Daily Eye Candy. Eddie Cibrian Joins "Ugly Betty"
ABC Schedule: Will "Club" Murder "Trees"?